Home Beauty & Fashion Hair Care Do Hair Loss Products actually work? If you’re scratching your “thinning” head, and wondering, “Do hair loss products work?” You aren’t alone, in that category. So here’s the answer: Yes, hair loss products do work, but there are some things you should know ahead of time. You may remember when “Rogaine” first came out, and how much it was subjected to ridicule? People going bald seems to carry a lot of humor and doubts about curing it. First and foremost, these hair-loss products do not cure baldness. That you must know ahead of time. However, if you keep taking them they have been proven to stimulate growth and reduce hair loss. Minoxidil is a proven compound, that is FDA approved, and found to be effective in 2 out of the 3 women who have used it. You use it in two ways, either a foam or liquid. It comes in two strengths, 2% and 5%. It’s most effective in women under 40, who have slight receding hairlines. You use it twice, daily, and be sure that you use it on a dry head or hair. Apply it gently on your scalp. Minoxidil comes as is, or known as Rogaine. You can also find it in generic forms. It is recommended that you use this product in conjunction with a shampoo such as, Minoxidil, for better results. Finasteride is another efficacious hair-loss component, that works in 90% of women. It is a pill, and you do have to take it twice a day. Finasteride works against an overabundance of DHT or Dihydrotestosterone. If you use as directed, you too can see the benefits that hair-loss products offer. Brands like Shapiro MD Hair Regrowth Shampoo, which is developed by a Dermatologist, can help clear blockages in your scalp such as dandruff and DHT. The good thing about Shapiro MD Shampoo, is that it comes with a guarantee of 60 day money back and typical results show that within 30 days you’ll have a thicker and healthier set of hair. A compound called, Salicylic Acid, combats DHT blockages as mentioned. Most hair-loss products have what they call, thickening agents. These agents have the abilities to increase or enlarge individual strands of hair. Ultimately, when you seek a treatment to thinning or balding, you want to regain what you once had. 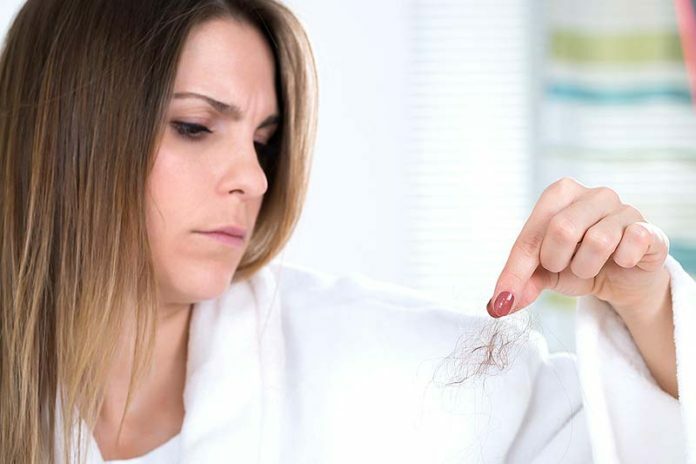 When you suffer from hair loss, it can be degrading and embarrassing. With a thicker and fuller set of hair, you’ll feel more comfortable and secure within yourself. As noted above, not all men or women will see the results. Certain people do not gain the benefits that others do. There have been some minor and rare cases of side effects from using products like Minoxidil and Finasteride. Some of the side effects reported are: skin irritation, redness, itching, and erectile dysfunction. Obviously, if you suffer from of any of the above, consult your doctor. Regaining your set of hair will come at a price, as most anything does. You will have to spend a little money during the process. Also, keep in mind, if you do stop taking the hair-loss products, you may experience added hair loss. These products aren’t a cure, and you do have to keep taking them. As more and more brands and products emerge into the market, so don’t the gimmicks. So, buyer beware. Look for the above mentioned compounds or products that have been FDA certified. Do your research, as there are some natural and organic products out there to that can stimulate hair-growth as well as reduce thinning or balding. There are products out there that do work, and a little homework will go a long way for you in finding a hair loss product that does work. Previous articleHow to organize your bathroom?